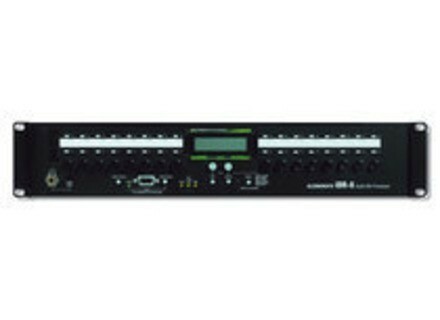 IDR-8, Digital Mixer from Allen & Heath in the iDR series. The iDR digital series and GR05 analogue zone mixer are now manufactured in two versions, the original model with the existing XLR connectors, and a new 'ST' model fitted with Euroblock connectors. "Offering Euroblock connectors will provide significant cost and time saving reductions for installers and contractors, as they can simply wire products straight in and no longer need to fit XLR connectors," comments Glenn Rogers from Allen & Heath. The iDR-8ST, iDR-4ST, iDR-InST, iDR-OutST and GR05ST are the same price as the original versions and will be available in the early summer 2009. For more information, check out www.allen-heath.com. [Musikmesse] TC Electronic BMC-2 TC Electronic will be launching BMC-2 at the 2009 Frankfurt Musikmesse, a dedicated Digital-to-Analog Converter and high quality Monitor Control that's suited for use with digital and analog speakers. [Musikmesse] New Antelope Products Antelope Audio will announce a new range AD/DA converters and clock at the 2009 Musikmesse in Frankfurt, Germany: The Zodiac DA series - including the Zodiac and Zodiac+, and the Rubicon Atomic clock. Aviom Applications & Technical Training Program Aviom A-Net, has expanded its Applications & Technical Training Program to include interactive webcast sessions each month.